I'm a musician and composer from Blackpool. I've played guitar for eight years and piano for about five. 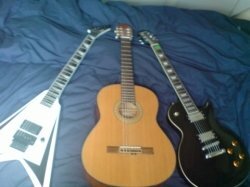 I've been teaching guitar for just over a year now, and wish to increase my student numbers. I originally travelled to student's home but I now work at **Removed By Admin**in Blackpool. There we have two large teaching rooms, a soundproofed drum room and a studio control room for recording. I encourage any student to begin learning songs they like, rather than any old songs that I dig up. However, I find that a lot of beginners enjoy learning songs like James Bond and Pirates of the Caribbean. If you already know how to play we can go from there. 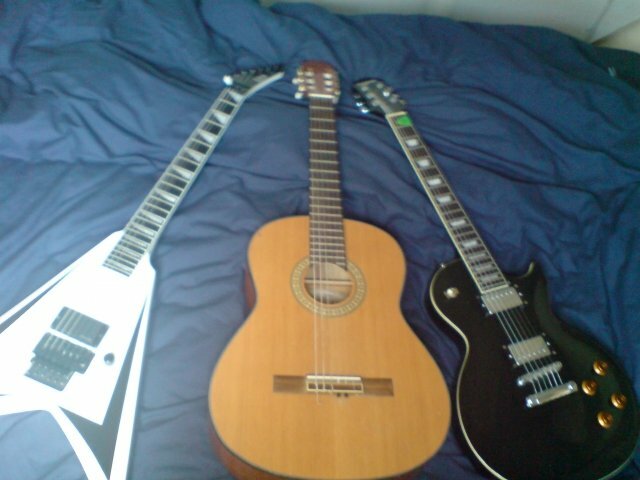 I generally play rock/metal songs, so bands like Metallica and Trivium, but I will teach to a style you prefer.